Crested Guinea fowl has a wide range in Kenya and northern Tanzania. In Kenya it is found mostly in western tropical rain forest remnant of Kakamega forest and Lake Manyara national park in Northern Tanzania, Body plumage is much like a typhical Guinea Fowl, with whitish spot; most recognizable features is the short, curly “mop” of black feathers on the head, the rest of the head and neck are bare with blue skin, red skin arond the eyes and on the neck;eyes are red;legs dark brown to black.The species is mono morphic. Photo@Raymond Galea.Taken in Samburu National Reserve. Buff-crested bustards are small in size compared to other species that we have in Kenya. They are cryptically colored to help them blend into their environment. They also are sexually dimorphic. Male buff-crested bustards have an olive colored crown, a black stripe down the front of the neck, and a black chest and belly. The upper feathers contain light orange-brown coloration. The females have brown heads, a much reduced crest, and are buff colored in the throat, chin, and breast area.The buff-crested or crested bustard prefers drier acacia scrub and woodland of northern arid and semi-arid regions of Kenya, especially in regions like Samaburu and Meru National park, Lake Baringo and Bogoria and further north in areas like Kapedo. The magpie starling is a northeast African endemic and an occasional non-breeding visitor to northeastern Tanzania. The male is black and white; the female, brown and white both with bright red eye which aid identification a great deal. The best place to see them in Kenya is Lake Baringo where is frequently spotted feeding in big fig trees along the cliffs. Red-and-Yellow Barbet like so all the other species of Barbet that I have come across are creatures of distinctive beauty. Barbet are closely related to tinkerbirds, woodpecckers, honeyguides and wrynecks. They are usually found alone or pairs. This Barbet has a strong red billed, which is hooked and the face is generally red with bright white eared patches. The nominate race which is generally common is boldly white spotted above, with a black and white speckled band across the yellow breast, yellow-white tail spots, and boldly barred outer tail feathers; rump yellow, upper tail coverts red and yellow; and under tail coverts red and yellow tips. Very social species and always prefer hanging around termite mounds where they both derive their food stuff and build their nest is circular holes. Locally common and widespread in dry bush, savanna and woodland scrub of Kerio Valley, Lake Baringo, Lake Bogoria , Meru national park, Olorgesaillie and Magadi road. 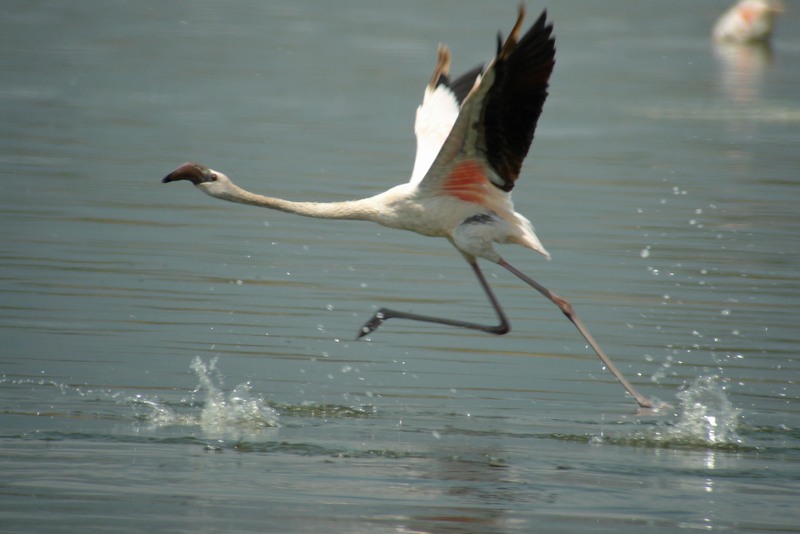 Protect the Lesser Flamingo – save Lake Natron! With this week’s bird of the week being the Flamingo, it reminded me of an important environmental and conservation concern regarding this spectacular pink bird: SODA ASH (sodium carbonate). 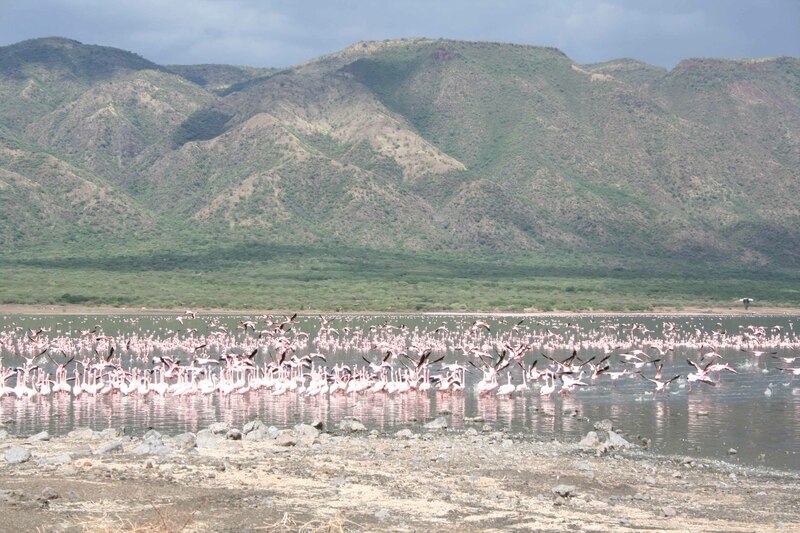 The Eastern Rift Valley is home to Lake Nakuru, Lake Bogoria, Lake Elementaita, Lake Magadi, and Lake Natron – all soda lakes, famous for providing the habitat of the near-threatened Lesser Flamingo. Sodium carbonate is used in many household and industrial products and is being harvested in Lake Magadi, Kenya by TATA Chemicals, who are also proposing to set up a new environmentally devastating plant at Lake Natron, Tanzania. The introduction of a soda ash plant into Lake Natron would have catastrophic effects on the already near-threatened Lesser Flamingo. Not only would the plant lead to habitat degradation and species loss, but its development would also be detrimental to East African tourism, and the livelihood of the Maasai community living in the surrounding area. 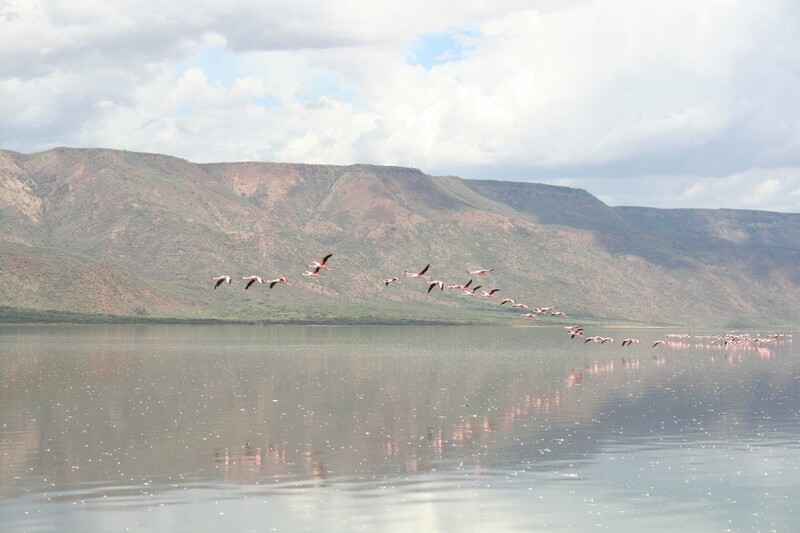 Lessons learned in Lake Magadi highlight that little to no economic or development benefits have come from harvesting soda ash in the magical waters home to the flamingo. With the re-emergence of the issue recently, the Star published an environmental commentary, ‘Don’t Fund Lake Natron Mining’ advocating halting the development of a soda ash factory on Lake Natron. Let this be a call to bird enthusiasts, ornithologists, conservationists, environmentalists, and tourism professionals to come together and advocate for the protection of Lake Natron, the rehabilitation of Lake Magadi and the security of our precious Lesser Flamingo. Watch the amazing documentary The Crimson Wing and find inspiration to see these Flamingos continue their flight between the Rift Valley soda lakes. Phoenicopterus, the latin name for flamingo, means “Crimson wing”, the flamingo is said to be the inspiration for the crimson-winged phoenix, the ancient symbol of transformation and re-birth. Flamingoes are characteristic species of soda lakes in the Rift Valley in Kenya and Tanzania, especially Nakuru, Bogoria, Elementaita and Turkana. Their breeding ground is Lake Natron, in northern Tanzania. Two species occur in Africa: Greater flamingo Phoenicopterus ruber and Lesser flamingo Phoeniconaias minor. They are long legged wading birds adopted to a unique method of filter feeding. The two species avoid direct competition by feeding on different food items at different depths, with major diet being spirulina and diatoms.